Foodservice inventory management is not something that often springs to mind when you list the most exciting parts of your job as a kitchen manager or chef. It may not even spring to mind when you conjure up images of what you consider to be the most important jobs in your venue. But the truth is, if you ignore it, the consequences for your business can be dire. The consistency of your menu offerings (and therefore stock products) is critical. If you are constantly making substitutions or removing items from the menu because you have run out or the stock delivered wasn’t consistent quality, then your custom will drop. With this in mind, choosing your inventory and how and when you order it doesn’t seem like just a chore to be overlooked anymore. Here, we explore the importance of intelligent stock ordering and the questions every restaurant owner or kitchen manager should ask themselves - using a product we know best: bread. First up, you need to consider how you will use the product. We don’t just mean “I am going to make it into a burger”. We mean, are you going to want to slice it yourself, serve it fresh and glaze the top? Or would you like it to be pre-sliced and glazed to save you time and frozen so you can toast it only when you need it? These sound like inconsequential considerations now, but when you have to make over 200 burgers in a single dinner service the time spent slicing will add up. And similarly, if you don’t sell all 200 you don’t want fresh burger buns to go stale. How are you going to store it? This brings us to our next question – what’s your venue’s kitchen like? If you have heaps of leftover storage space, perhaps you would consider buying fresh bread every day. But if you are like most venues, and struggling for space at the best of times, you would prefer to buy frozen bread that you can hide away in the freezer until you need it. It is one thing to have artisan, locally made bread from a nonna down the road, but another entirely if it goes stale from under-ordering in the first two days of each week. On top of this, you should think about quantity – can you order in small cartons so you don’t have to fill your limited storage space with huge boxes? You don’t want to waste all your time at work filling out order after order for different products, from different suppliers. 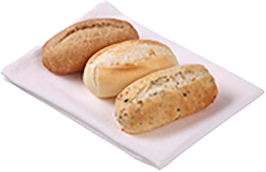 Ideally you want to wrap your bread order in with your other stock – so something that is available from your current distributor is ideal. This is where small cartons comes in handy again, allowing you to order exactly how much you want for your upcoming time frame, avoiding waste. 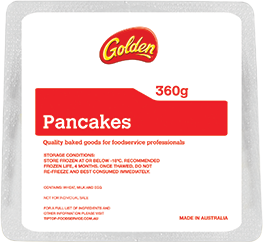 Most of Tip Top Foodservice’s products – ranging from Tip Top to Speedibake and including Golden and Abbott’s Village Bakery – come frozen for foodservice convenience. They can be thawed as needed, or even flash-baked for quick-to-table results. Available nation-wide through distributors in a range of different carton sizes, Tip Top Foodservice products are a stock-orderer’s best friend.